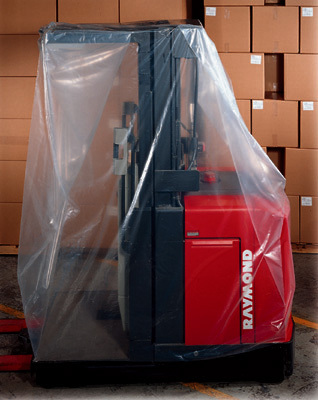 Protect expensive equipment, machinery, palletized loads, and other large items from dust, dirt, and moisture during shipping, construction, or storage. Most sizes are perforated on rolls for fast, easy dispensing. Meets FDA and USDA specifications for food contact. This cover will fit a standard 48" x 40" pallet. 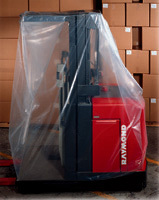 Black opaque covers, smaller sizes, and bag closing devices also available.